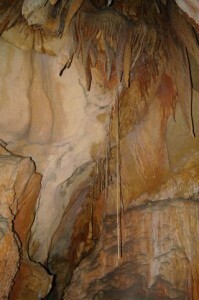 I have just returned from Tasmania where I visited King Solomon’s cave.A conducted tour but a good cave all the same. 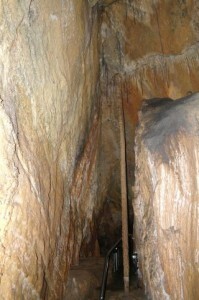 The Column was dead straight and about 12 cm thick. Note the handrail at the bottom of picture for scale. It would be about4 or 5 metres tall. Also a nice straw about 2 m.